Ladies Finger – 1/4 kg. Bengal gram flour – 1 spoon. Chop the ladies finger in to four pieces or to the size and shape you wanted. In a basin, along with ladies finger add bengal gram flour, salt, chilly powder and 2 spoon of water and mix it thoroughly. 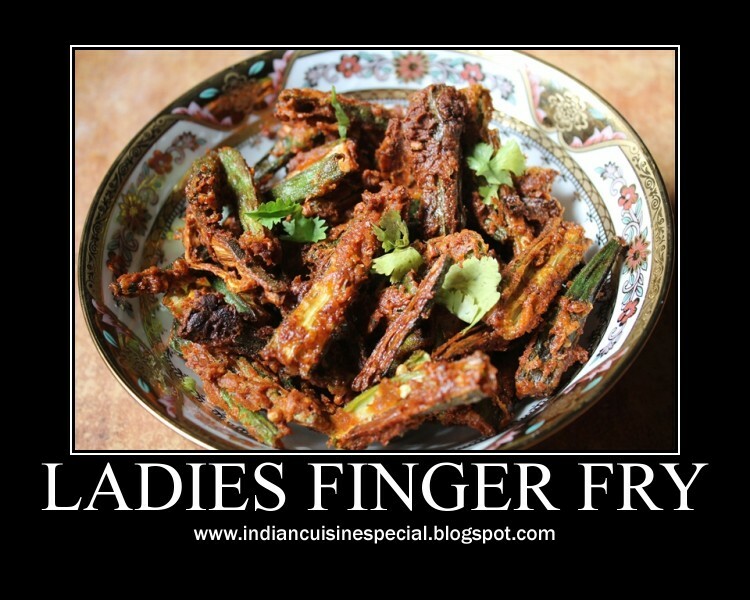 Using a kadai pour oil as required and fry the ladies finger.